Whether it’s five or fifty, we’re able to make any group’s project in Thailand smooth and memorable. Where to go? How to overcome the language barrier? How do we receive the proper visas? How do we know that the project site is one that needs volunteers? Where should we stay? What’s safe to eat and drink? Let our team of Friends for Asia, foreign and Thai, professional coordinating team take care of these concerns, so that you and your volunteer group can focus on what’s important – how you’re going to most contribute and experience Thailand to the fullest. Aside from our regular volunteer and intern projects, we do organize specialized projects for groups of any size, time or need. 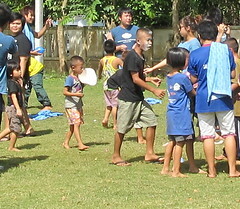 Our regular volunteer and intern projects act as a starting point for the different opportunities that volunteer groups would like to accomplish and experience during their trip to Thailand. Most of our volunteers are either students or recently finished school. The director of Friends for Asia is a well-experienced teacher and understands the value and importance upon education, especially through experience and travel. Leading student groups through service and leadership projects is something we not only excel at, but really enjoy. Posting pictures and stories about one’s powerful travel and volunteer experience on social networks is one way to show a life changing experience to friends and acquaintances. Sharing stories, food, culture, project, and contribution with the ones you know and love is an bonding moment that will never be erased or forgotten. We’ve hosted families and close friend groups over the years and found that getting to know someone outside of their normal daily routines and comfort zones allows you to really know them. Learn more about our family volunteer opportunities. Becoming more and more popular with the world’s most pro-active companies and organizations, we at Friends for Asia are happy to build a Thai team building experience for any group that is interested in learning, contributing and being taken out of their comfort zone. Understanding of needs and financial restraints, Friends for Asia is able to provide projects and details for any group. Five star hotels and white collar professionals to the basics for student backpackers, we’re able to work and arrange for all types and all budgets. There are a lot of details to any group adventure to Thailand. 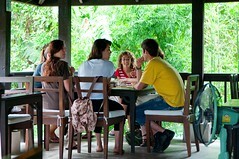 Please contact us as to how we can best help you make your group Thailand experience a reality. For more information about group projects, please send us a volunteer group project inquiry.